Trauma Informed Care is catching on at the local, state and national levels. The momentum is impacted all service levels. 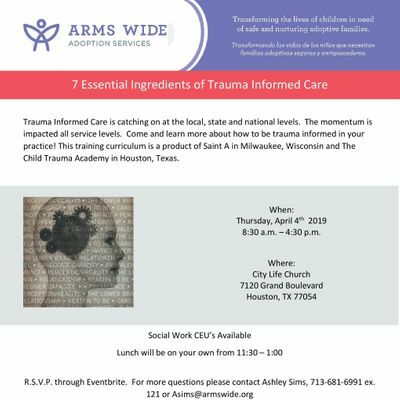 Come and learn more about how to be trauma informed in your practice! 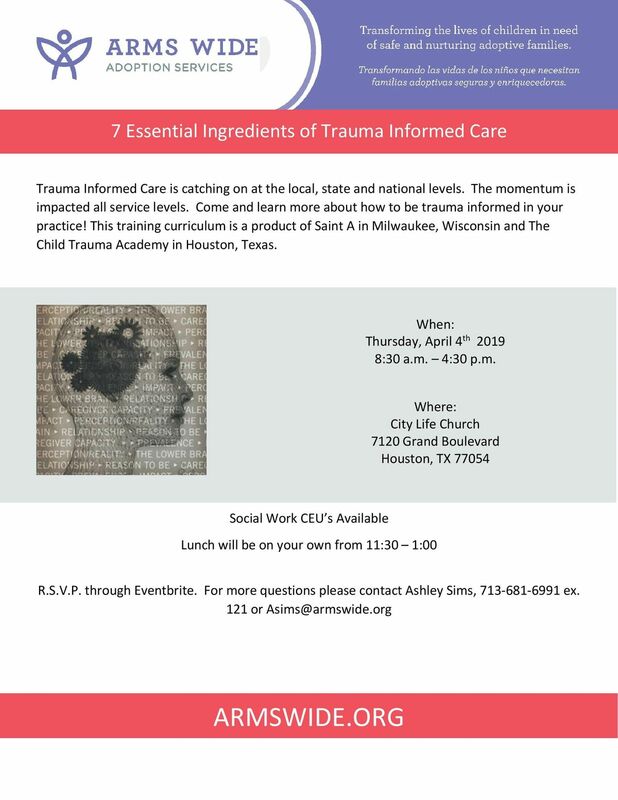 This training curriculum is a product of Saint A in Milwaukee, Wisconsin and The Child Trauma Academy in Houston, Texas. This training is not limited to individuals working in child welfare. It is a comprehensive training on providing trauma informed care to all populations.